Despite attracting 330 million monthly users and being the third most visited website in the world, brands have yet to take advantage of Reddit, says Erin Tierney. 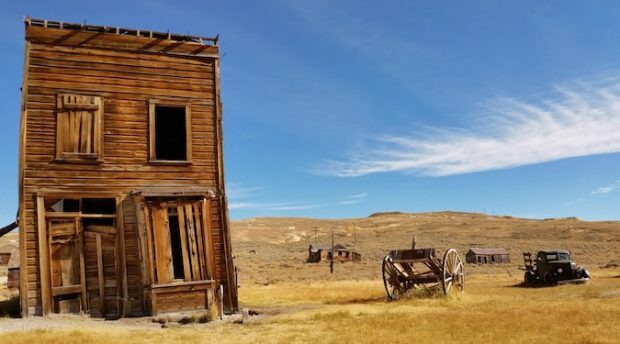 Perhaps a result of past brand failures, organisations have been hesitant to explore the ‘Wild West’ of the internet. Reddit, a network of communities built around people’s interests, hobbies and passions, has quickly overcome social platforms like Snapchat and Twitter. It now boasts itself as the third most visited website globally with 330 million monthly users, placing it on the dais with Facebook and Instagram. Reddit users on average spend more than 15 minutes browsing through various communities. So with such a captive audience, how is it that Reddit has remained relatively untouched by organisations? Many companies fear Reddit’s reputation as the ‘Wild West’ of the online world, but Reddit has gained positive momentum since the return of co-founder Steve Huffman, who in 2015, strengthened the site’s integrity through updated content policies, cutting off violent and harassing communities and removing hundreds of fake accounts. The community and the volunteer moderators rallied around Huffman’s return, and Reddit has never been in a better position than it is now. It’s focused on human connection with over 138,000 communities tackling every interest imaginable. In 2018, people don’t want to be advertised to. They want to be engaged – and Reddit is the perfect place to do that. To be successful though, brands must be open to talking with their audience and users directly, they need to be self-aware and transparent. When brands are not genuine, they risk backlash. This was the case in 2017 for gaming company Electronic Arts (EA). Prior to the release of its hotly anticipated flagship title, Star Wars Battlefront II, EA’s commenter (who had participated in the community before) attempted to dismiss concerns among the community that the game would include in-game purchases or run a ‘pay-to-win’ model. Following the game’s release – and revelations that the game did include paid content – this comment became the most downvoted comment in the history of Reddit. In fact, the first 24 hours attracted 436,000 downvotes. The event left the Reddit platform with a reputation, scaring brands. The truth is that organisations have experienced real success on the platform, one example being Nissan.In 2013 the car manufacturer partnered with Amazon to give away a handful of its Versa Note hatchbacks – the first car being delivered to the winner’s house. It’s important to remember that not all brand activity has to be campaign based. Amazon itself is quite active on many subreddits, even sharing product announcements with communities. Bill Gates, representing the Bill and Melinda Gates Foundation, has won communities over simply by participating in various Reddit gift exchanges and Ask Me Anything (a live unrestricted question and answer) chats. The latest chat raised questions about his time at Microsoft, opinions on the state of the planet and family life. As a home for conversation and word-of-mouth recommendations, Reddit also offers brands an opportunity to understand how people perceive their products and positioning. There are many brand listening tools that help companies monitor for mentions of their organisation or product, and jump into the conversation where appropriate. For organisations looking at Reddit, the most important point to remember is that the community holds the key. The community is tech savvy and isn’t hesitant to call out organisations that do not appear completely authentic. Brands can succeed when they become part of the community, initiating and taking part in conversation, not through marketing or pushing one-way messages. You need to rethink every social platform strategy you have (which face it, is generally a one-way content post) because Reddit engagement requires a thorough understanding of online communities. In addition to improving the way that organisations connect with passionate users the platform, Reddit transformed its advertising management and ad reporting in 2017 and grew its experienced sales team, making it much more appealing to large organisations. You can now sponsor posts alongside your programmatic ads and even takeover the front page for 24 hours – which HBO did to promote fan-favourite (and Reddit-friendly) series Westworld. Reddit’s future is bright. With an influx of engaged members across hundreds of thousands of interests, as well as clear success of brand participation within the community, the time is now to develop a strategy for your brand to participate on the platform. This is your chance to be one of the pioneer Australian organisations paving the way on Reddit. 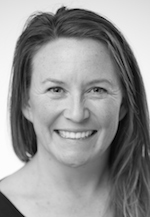 Erin Tierney is a community consultant at Quiip.